The priority of Pagès Entrena is the high quality of our products. This fact shows us a way of working somewhat different from the rest of the sector. It is well known that a good Cava begins by the cure of the grapevines. We are conscious that the grapes are different from one year to the other and that, due to climatic effects, having the best quality every year is impossible. Thus, for a long time, in Pagès Entrena we bring our grapes to the cooperative and buy the varietal wines in order to have the best wines of the Denomination of Origin. 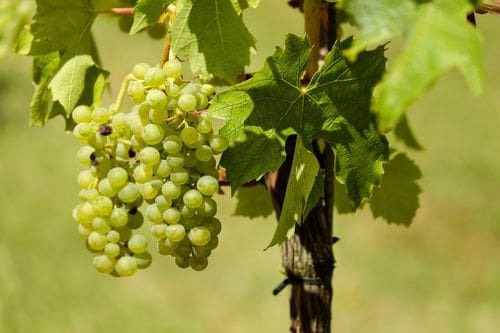 Authorized grape varieties for the elaboration of Cava. Black:Grenache, Mourvèdre, Pinot Noir and Trepat. Once the grape is pressed, the must is placed in stainless steel tanks with a refrigeration system which regulates the temperature of fermentation at 16ºC. The slower the fermentation is, the easier the wine preserves its fresh and fruity aromas. Inside these tanks the first fermentation will be carried out. 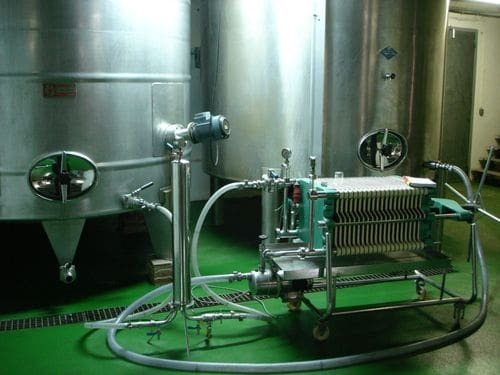 This fermentation will transform the must into wine, since the sugar of the must, with the aid of the yeasts, will become alcohol and carbonic gas. When we have the wines of each variety we do the "coupage", which consists in mixing the different wines in the suitable proportion to obtain a base wine in order to get the Cava. There are different reasons why one Cava is different from another, for example, the quality of the varietal wines, the temperatures of fermentation and also the proportion of each variety to do the suitable "coupage". At this moment we have a good base wine and we can already elaborate the Cava. To do so, we have to bring about a second fermentation inside the bottle. Thus, we add sugar and selected yeasts to the base wine, which will carry out a second fermentation and will consume the sugar as energetic food. As a result of the second fermentation we obtain the carbonic gas, necessary to get the bubbles of the natural sparkling wine (CAVA). The regulations of the Cava state that the wine has to be in contact with the yeasts, in the same bottle, a minimum period of nine months. Starting from this rule, every company decides the maturing of their bottles in order to get the product they want. A Cava RESERVA is that which has been beyond 15 months maturing in the bottle, whilst a Cava GRAN RESERVA has been 30 months maturing and then has to be approved by a tasting committee. During the fermentation, we have had a reproduction of yeasts and a series of changes in the bottle. Due to that, inside the bottle we have some dregs which have to be extracted. By means of decanting, we lead all these solids to the neck of the bottle. We keep the bottle in inverted position until the moment of the disgorging. This manoeuvre is called clarification. 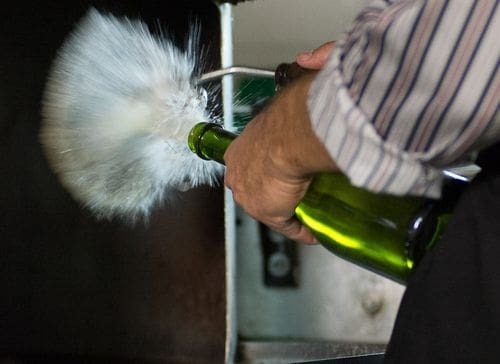 Once we have the bottles fully clarified in inverted position, we freeze the neck of the bottle to be able to open it without any risk that the residue moves back leaving the Cava turbid. In this way we can expel the ice top which goes out due to the pressure we have in the bottle, as a result of the second fermentation, and thus we can extract the yeasts that are not useful any longer. During the second fermentation the yeasts have consumed the whole sugar; therefore, the Cava that we have is an extremely dry one, that is to say, Brut Nature. If to our taste a Cava not so dry is more pleasant, we only have to add some sweetness. We will get so by adding the liquor of expedition. The liquor of expedition is simply syrup made of wine and sugar. Depending on the amount of additional liquor, we sweeten the Cava more or less. 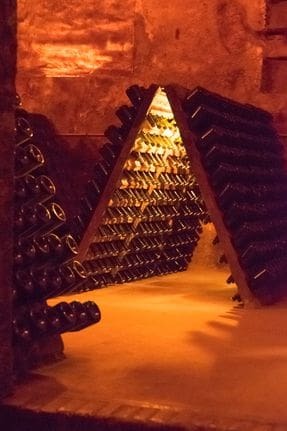 Bearing in mind that Cava is in constant evolution, once the process of elaboration is ended, it is not convenient to keep the bottles for a long time. We recommend consuming the Cava within the following year after the date of disgorging as the passage of time will not increase the quality of the Cava. All the bottles of Pagès Entrena have a label which states the date of the disgorging, though it is not compulsory according to the regulations.